Want to dress up with your kids? 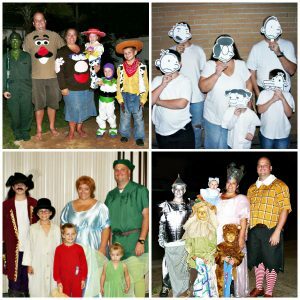 We share one family that is doing just that and their 5 family costume ideas for Halloween or cosplay. 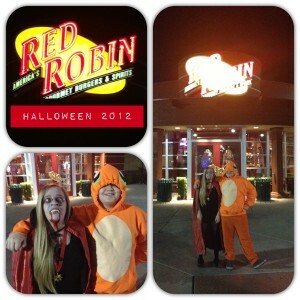 Just a quick post – after Halloween trick or treating tonight, we decided to go to Red Robin for dinner. This year, Courtney was a vampire and Mattie was Charmander (from Pokemon). And I even got them to pose together to prove it was all true. 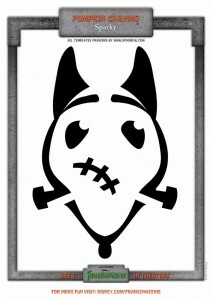 How was your Halloween? What did you do tonight? 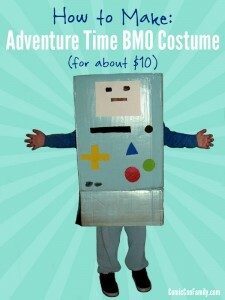 In less than a day, and for about $10, you can make an Adventure Time BMO costume for Halloween or for cosplay.